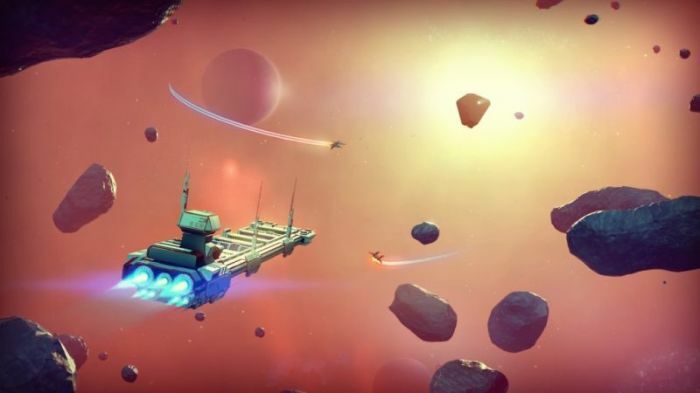 The past few weeks have proven to be quite interesting for members of the "No Man's Sky" community, and it looks like they will continue to be for a while longer. For those who may be unaware of what has been going on recently with the game, r/NoMansSkyTheGame Subreddit moderator "UnimatrixZeroOne" has provided a detailed rundown of the events. First off, there were cassettes handed out to different moderators and then it was discovered that the "Waking Titan" alternate reality game was actually linked to "No Man's Sky." Then, there was also a special Twitch stream released earlier this month that called on players to join the Citizen Science Division. It has also been revealed that Level 4 Atlas Passes are expected to be distributed to some members of the game's community. More recently, additional events of interest have taken place that are further teasing something of significance. Apparently, "Waking Titan" was updated again, and this time, it now features some new challenges for players to work on. On top of that, in a separate thread on the same Subreddit, some players have also reported receiving a special email. According to "Goldengoose07," the email appears to be related in some way to those aforementioned Level 4 Atlas Passes, as developers may be preparing to give these to the players who have managed to solve the puzzles. Unfortunately, it is still unclear what these passes are for and what may be coming soon to the game. Recent rumors have hinted that there could be an important update released next month, and given the pace at which things are changing, it is not hard to imagine the developers releasing something big in the relatively near future. For now, "No Man's Sky" players will just have to stick to solving the puzzles as they are released, and hopefully for them, they will find out what is coming to the game sooner rather than later.